Wayfaring Wanderer: And I thought it was April?! And I thought it was April?! and may therefore be demanded back the next hour. My car ran perfect to and from our weekend destination. I was perfectly healthy, not a cold or infection in sight. We were given some lovely spring weather. Today, it is stalling out on me! In so many ways I can relate to this quote right now. For days, I have scanned pages of quotes looking for something that could encompass this somewhat turbulent time period I am experiencing. It wasn't until today that I found one. Now, those are not the only reasons I was on a hiatus. When I would feel the fleeting urge to blog, it was swiftly met by another urge that forced my attention elsewhere. I just didn't have the desire or inclination to make it happen. Cody and I traveled back to Kingsoport, TN for my cousin Cahty's wedding this past weekend. Preparation for the trip dominated the majority of my spare time but I still had loose ends! Thankfully, everything went pretty smoothly despite the mishaps encountered along the way. An eventful visit with my Dad was probably the highlight of my weekend though. The wedding was great, but I hardly ever get to hang out with my Dad. If it weren't for the wedding, I would have only seen him once this year while I was home at Thanksgiving. I wasn't the only one glad to see my Dad, Cathy was overjoyed to have her blood relatives with her on the special day. My Dad was asked to walk her down the aisle since her Dad couldn't be there in the flesh. He carried a mini-laptop that connected a live feed of every step to her parents via a video chat. The power of technology allowed them to experience it with her even though they were 7,000 miles away. Isn't that amazing! Oh yeah, I almost left out that I was a bridesmaid. Sunday was our free day and we all stumbled upon some pretty fun things to do. Guess what?! We are going on a field trip this Friday! So, please have your permission slips signed and turned in no later than Thursday evening. Hope you can make it! will we see photos of the wedding? Elk: I didn't take any photos during the wedding. My camera stayed in the car. The did, however, have two photographers who were super busy capturing every little moment. Maybe I will get to share some of those once I get them. wow....mother nature seems to playing tricks on all of us this year !!! the wedding sounds like it was very touching and sweet. what a wonderful world it is that they could do that...amazing, yes? my permission slip is signed and ready. We had snow last week. Thankfully it melted quickly and was gone by the next day. It was on April Fool's day, come to think about it. It's so nice that you were able to spend time with your dad. 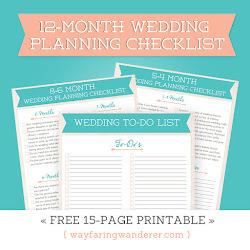 The wedding and time with your dad sounds like such fun and the laptop, what a great usage of technology! I, Feather, a cat as pure white as the snow in your photo, do hereby issue this permission slip for my mommy to go on your field trip....but only because I know that I will be sitting on her lap to be a part of the excitement. Wow that looks like it was a chilly day. I have my lunch packed ready to go for the field trip. Beautiful shot! But I am glad we are done with snow around here till next year. Hope you have flowers and green stuff soon! Snow here too,... yuk! Glad you got to spend time with your dad. good to hear from you! sounds like a great trip--time with parents is precious. the snow picture is lovely, too, even though it's not fun to drive. Oh wow, what a stunning photograph!Greetings from Africa. whatever the season, that's a beautiful snow. margie signed my permission slip for me ... she had a friend in highschool who could do our mother's signature perfectly ... I was jealous. The snowy photo is beautiful...as is your blog. Sounds like a great weekend.. spending time with your dad, celebrating the marraige of your cousin. We are spending some time with family the next couple of weeks with Easter & our grandmothers' birthdays. That was a mouthful. Yey for field trips. Luckily my dad taught me how to forge his signature when I was little so I don't even have to ask. Great quote! Yes, all is temporary, nothing is ours! Looking forward to the field trip. Looks like you're out in my neck of the woods. Spring will really come, won't it? You are still getting snow?? It is beautiful. That is a great picture but it sure looks cold! WOW! Love the picture, but not the snow! We were luckily missed while the lower half of the state wasn't. I think warmer days are finally here now though!! 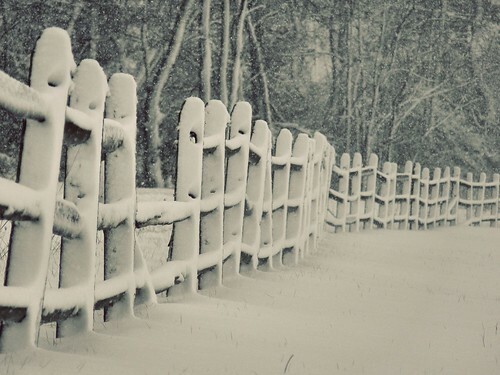 The snow fence shot is gorgeous! Although I am living in the relatively balmy area of the world, I do watch the storms move across the USA by the widgets on my google. (sounds like a disease!) It seems like this year the storms have been flying across the plains like balls in a bowling ally. Still, you can't complain too much as a photgrapher. Storms and angry clouds always make interesting subjects! I always hated those April snows. Just surreal until you have shovel it. Gorgeous capture! I'm glad you had a good time at the wedding! oh my, it's just snowing again??? But I recalled you love snow, so you must be enjoying the day there :-) Love the picture to every bit! Beautiful picture. I hate snow, but I love pictures of it.